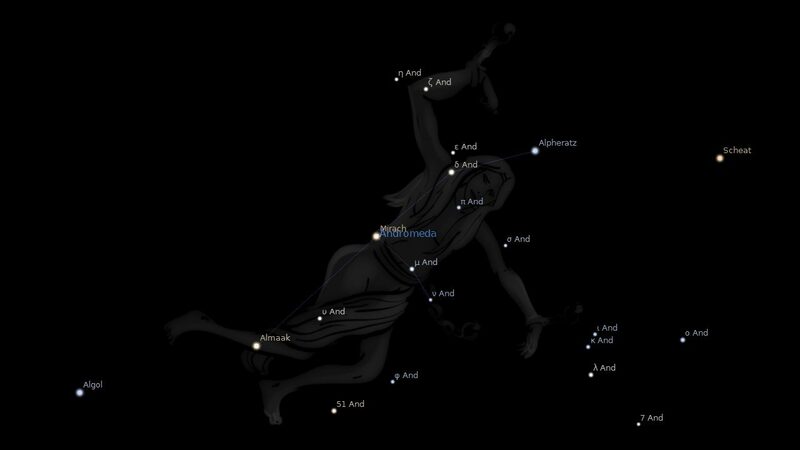 Andromeda constellation, the Chained Woman, is a northern constellation sitting above constellation Pisces, between constellation Pegasus and constellation Perseus. It spans over 30 degrees of the Zodiac in the Sign Aries and Taurus, and contains 9 named fixed stars. This is a peculiar picture to set in the heavens. A woman with chains fastened to her feet and arms, in misery and trouble; and bound, helpless, to the sky. Yet this is the ancient foreshowing of the truth. In the Denderah Zodiac her name is Set, which means set, set up as a queen. In Hebrew it is Sirra, the chained, and Persea, the stretched out. 1. 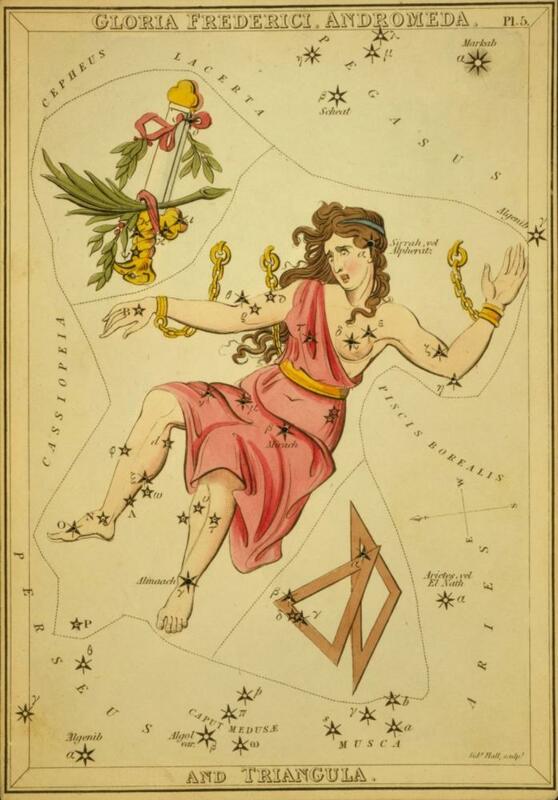 Fixed Stars and Constellations in Astrology, Vivian E. Robson, 1923, p.133. 2. Star Names: Their Lore and Meaning, Richard H. Allen, 1889, p.31-34. 3. Astronomica, Manilius, Book 5, 1st century A.D., p.351. 4. The Witness of the Stars, E. W. Bullinger, 22. Andromeda (the Chained Woman).